Miami, August 2017. 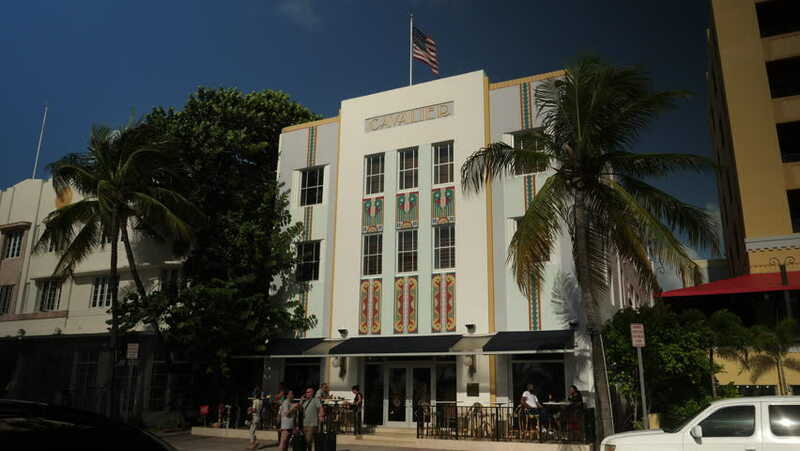 The vintage art deco Cavalier hotel on Ocean Drive, Miami Beach. sd00:12GRAND CAYMAN, CAYMAN ISLANDS - DECEMBER 11, 2003: Tilt down five story building to sign for Ugland House, the address of over 12,000 US companies doing business in the Cayman Islands. 4k00:17KEY WEST, FL - FEBRUARY 2016: Tourists in Mallory Square looking at sunset. Key West is a major Florida attraction. hd00:39Kuwait Al-Sharq Fish Market. Wide shot of the front entrance of the building housing the Al-Sharq Fish Market in Kuwait.